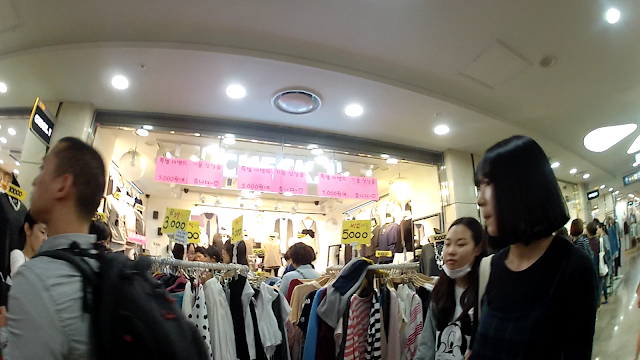 It’s been a while since I’ve written one of these Seoul, Korean Shopping Guides. I love these, personally, and whenever I write about these… I miss Korea so much! I really enjoy shopping and am the type of person who can just wander around, look at stuff, and not have to buy anything. Well, that didn’t happen on my last trip to Seoul, Korea (I bought a decent amount of things 😮 ) but hey, I guess it gave me more experience to give you tips and my guide on shopping in the Express Bus Terminal. There are TONS of shops in this area! About 600 to be exact 😀 You could walk around for days and see something different I feel like. Here, you can find everything from household goods to shoes to bedding to beauty items! Yes, even beauty! This is a pretty good one-stop-shop kind of area if you only have a limited amount of time in Korea. However, be warned… underground shopping gets crowded! Look how far back it goes! And this is in practically all directions! To get there by the Subway: Line 3, 7, 9 at Express Bus Terminal, exit 8. Excuse my crazy face! I put this screenshot in here because you can see the subway sign in the background. That way, you can see exactly where I came in from in the video! Look how cheap you can find clothing for here! I ended up buying this shirt for about $5! Always bring cash! Most vendors in Underground shopping areas don’t take card. Actually, a lot of “mom and pop” type of shops take cash only. I don’t haggle in this area. This is because the items are already cheap enough! I honestly wouldn’t even try. 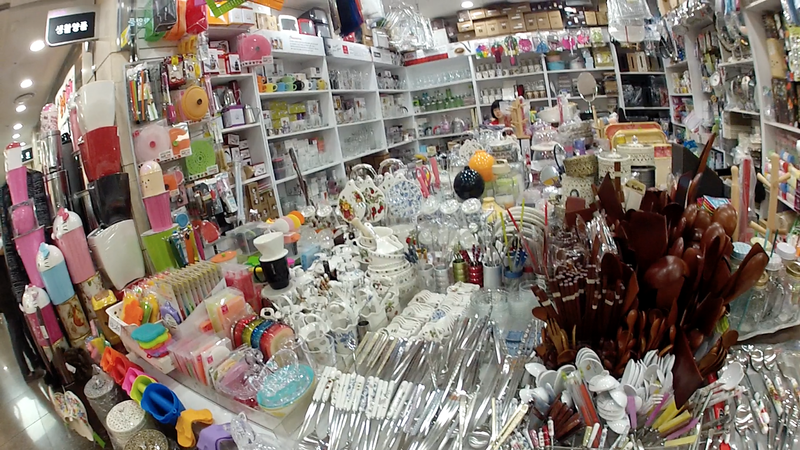 You might end up offending the shop keepers because the items are already a good deal! Wear comfortable shoes! 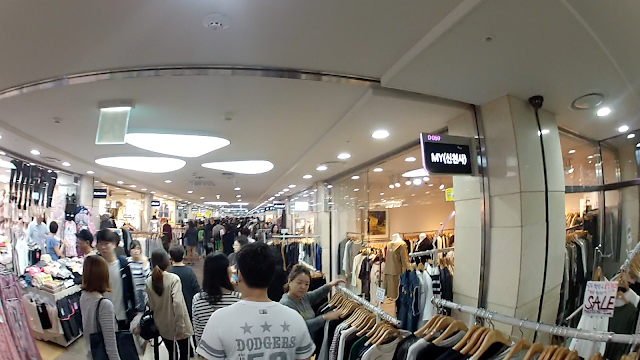 This particular underground shopping area is connected to Shinsegae, Megabox Movie Theater, and a couple other attractions! So there’s lots to do and look at and you don’t want to be bogged down by uncomfortable footwear. There are some food court areas down there, but bring a snack! They are spaced out and sometimes a little bit of a walk to get to. Nothing is worse than being super hungry and not being able to find somewhere to eat. If you’re really looking for a good deal, you can always shop around. You’ll actually notice a lot of shops carry some of the same items or items that look very similar so try to find the one the has the best deal! There you go! 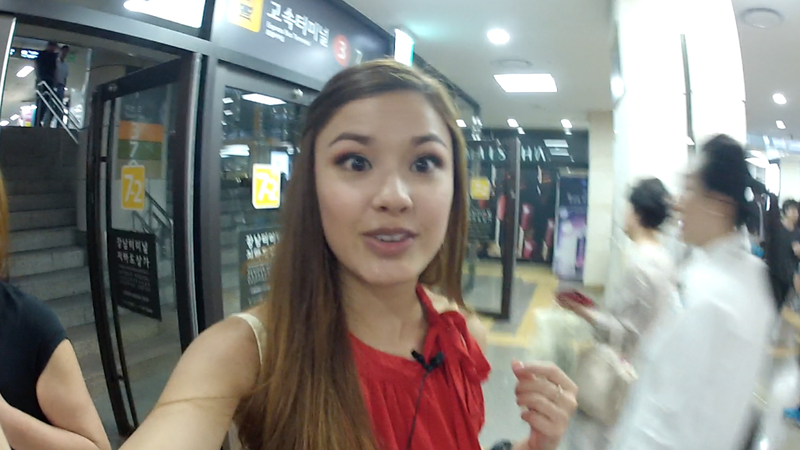 There’s some basic information about shopping and navigating the Express Bus Terminal Underground Shopping in Seoul, Korea! I just uploaded a video where I take you around with me while I’m shopping there, so be sure to check that out above as well as subscribe to The Beauty Breakdown!